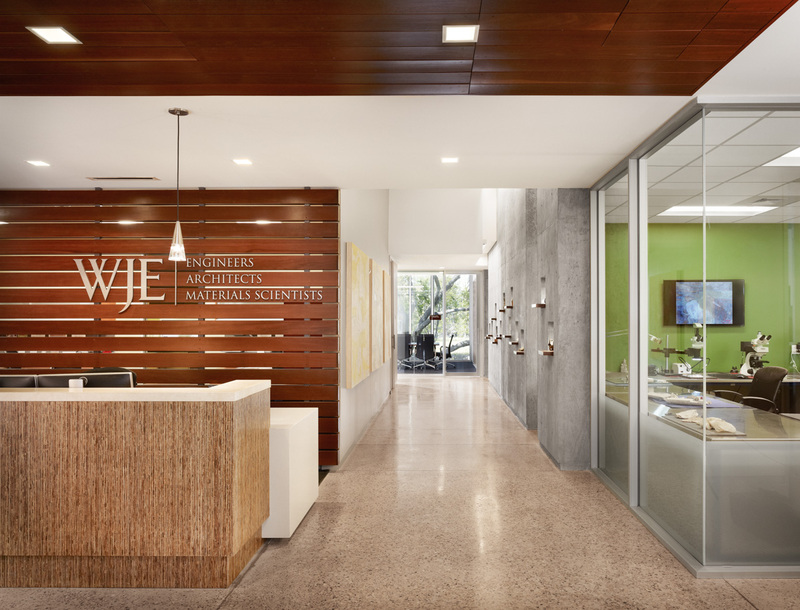 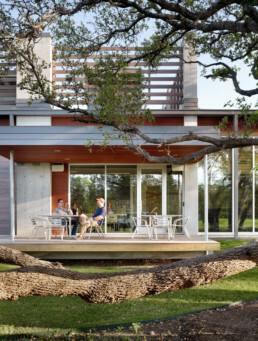 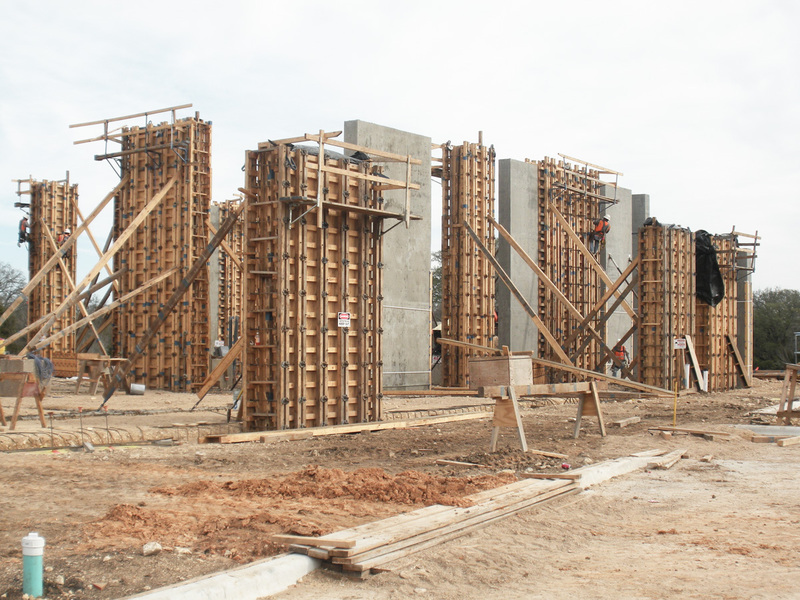 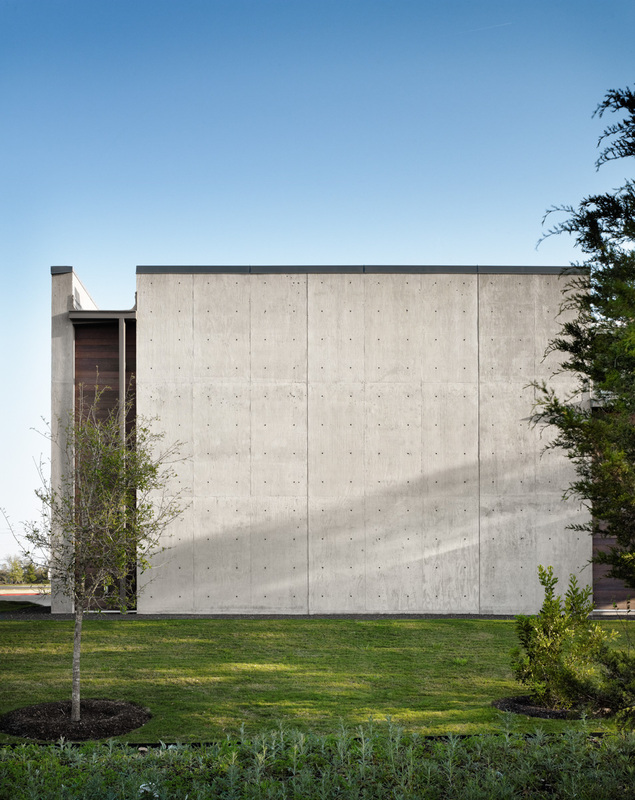 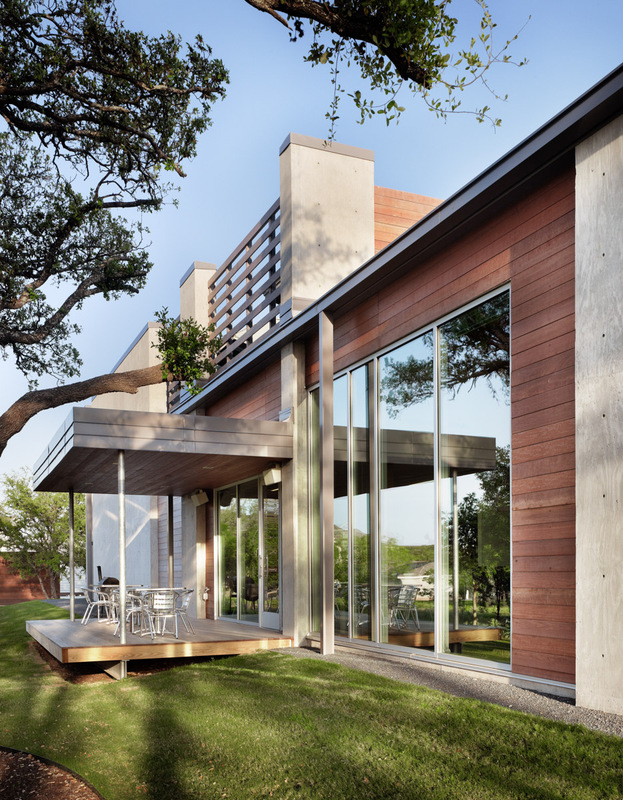 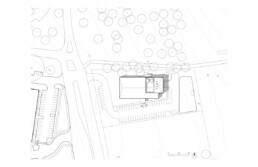 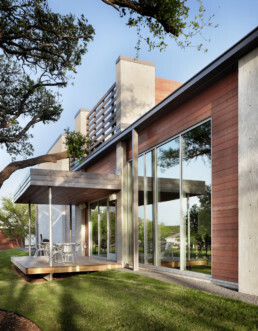 Wiss, Janney, Elstner Associates (WJE) is an interdisciplinary engineering firm whose practice group in Austin has a particular expertise in concrete construction. 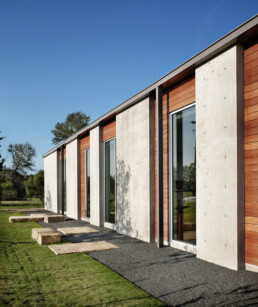 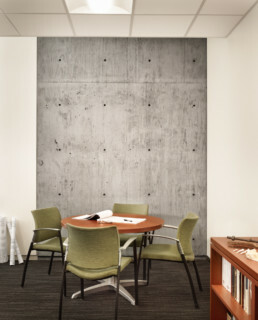 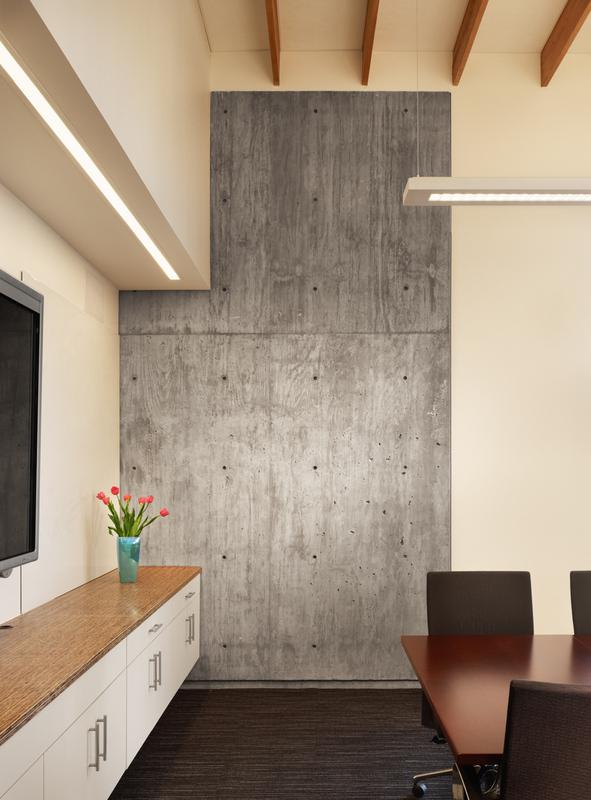 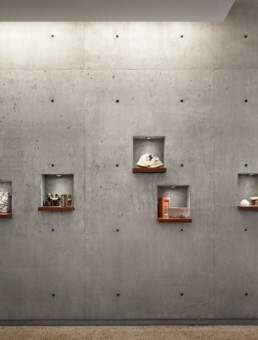 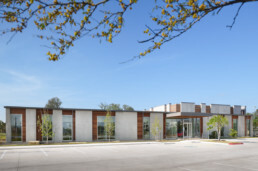 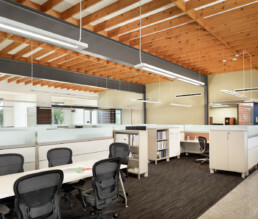 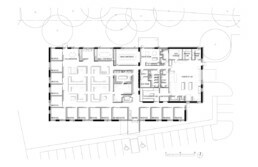 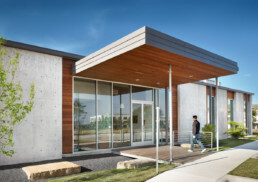 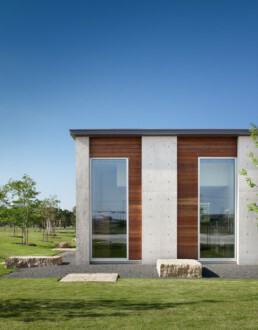 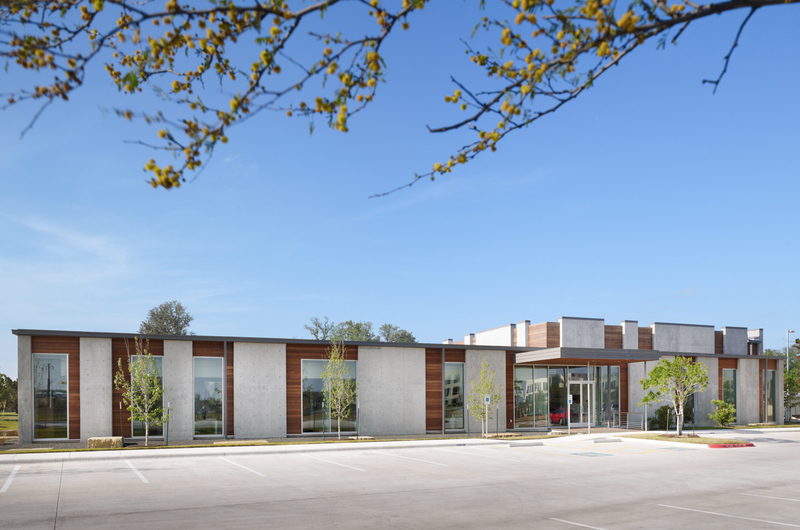 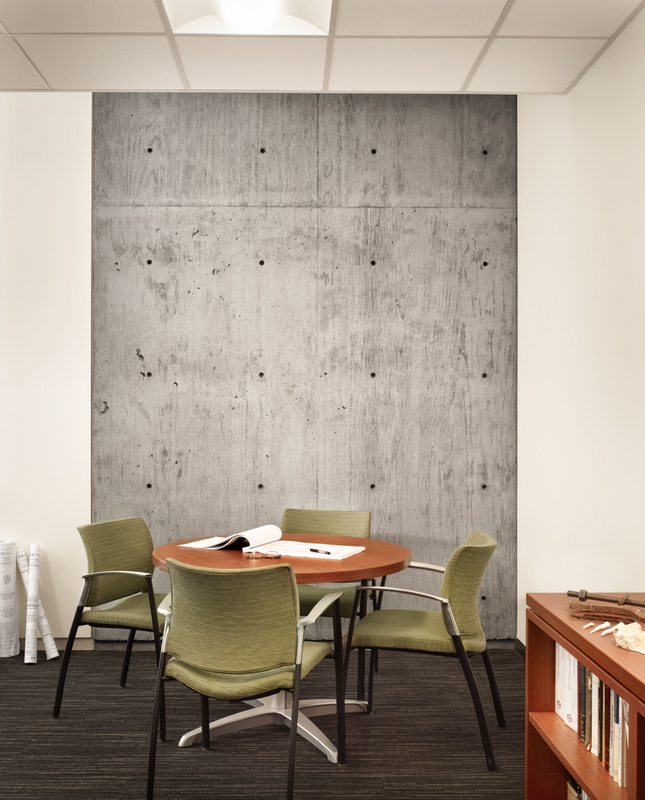 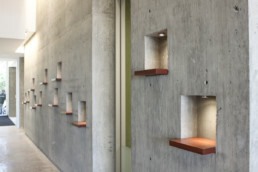 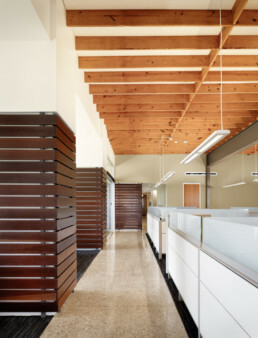 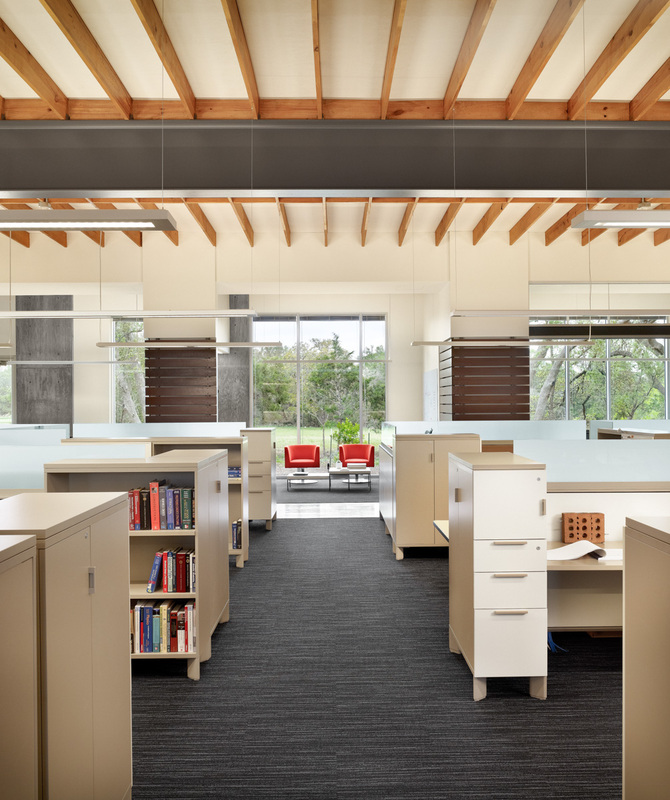 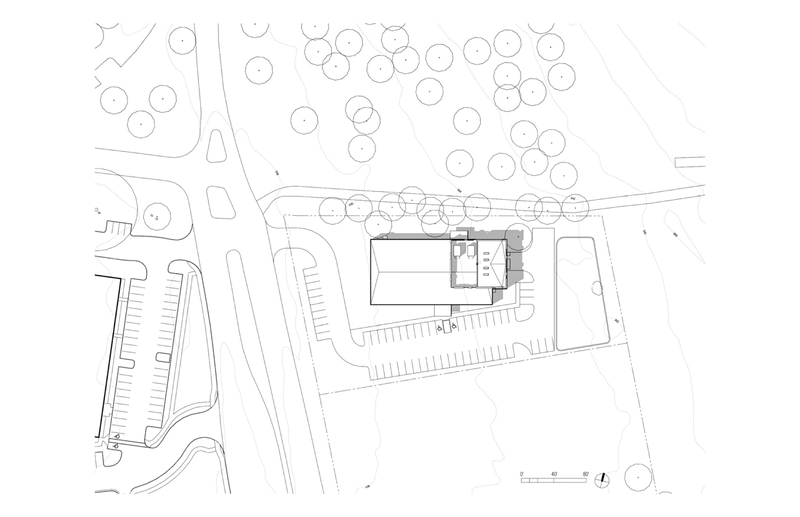 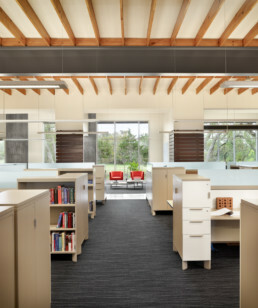 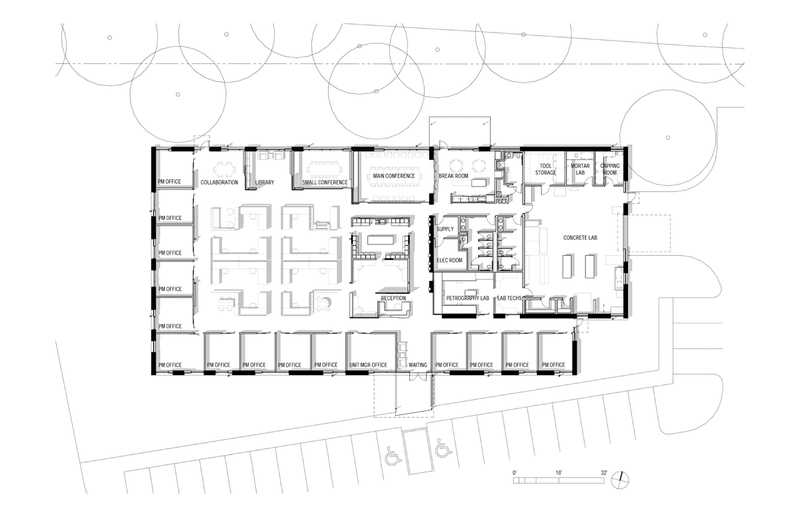 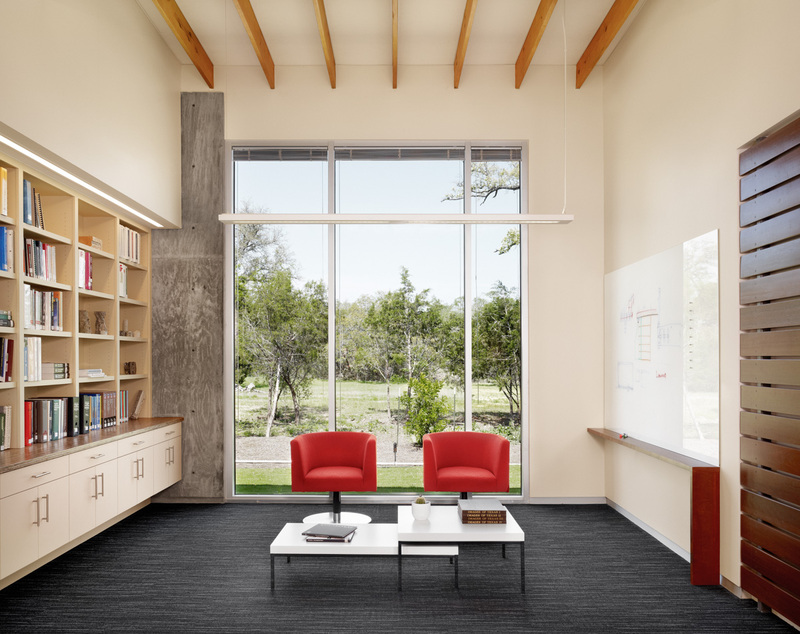 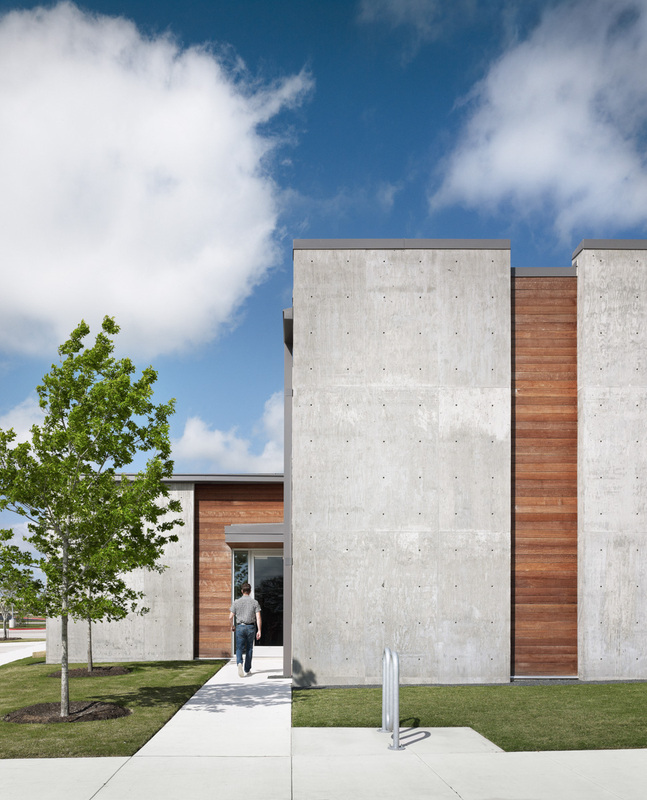 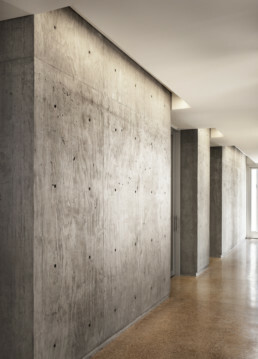 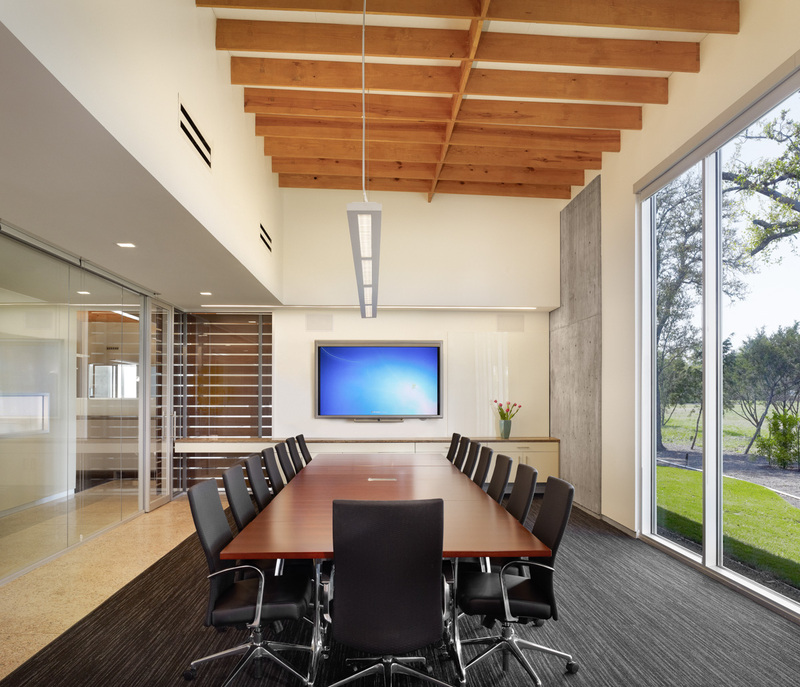 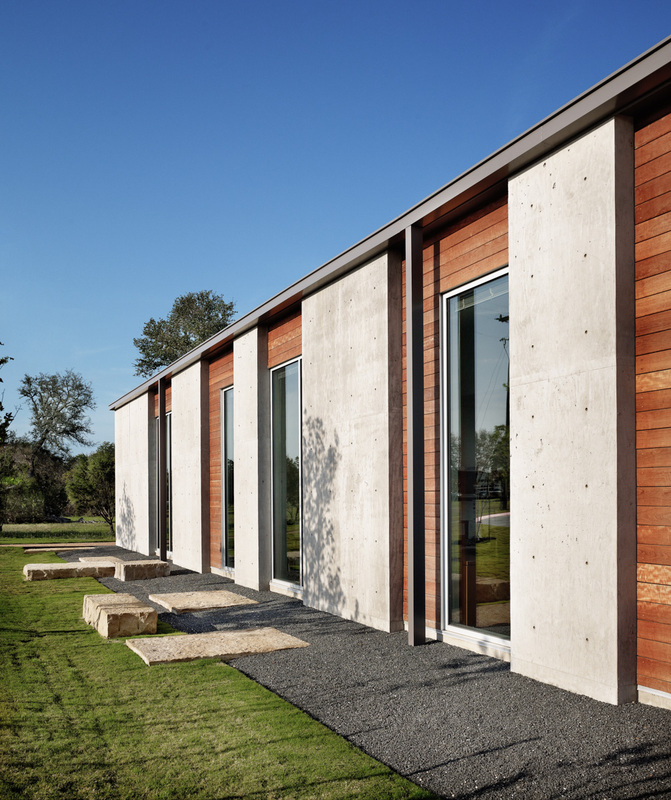 The office has their own petrography lab, so when Page began to design a 13,000-square-foot office building for them, the decision was made to explore concrete as a building material. 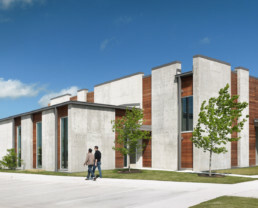 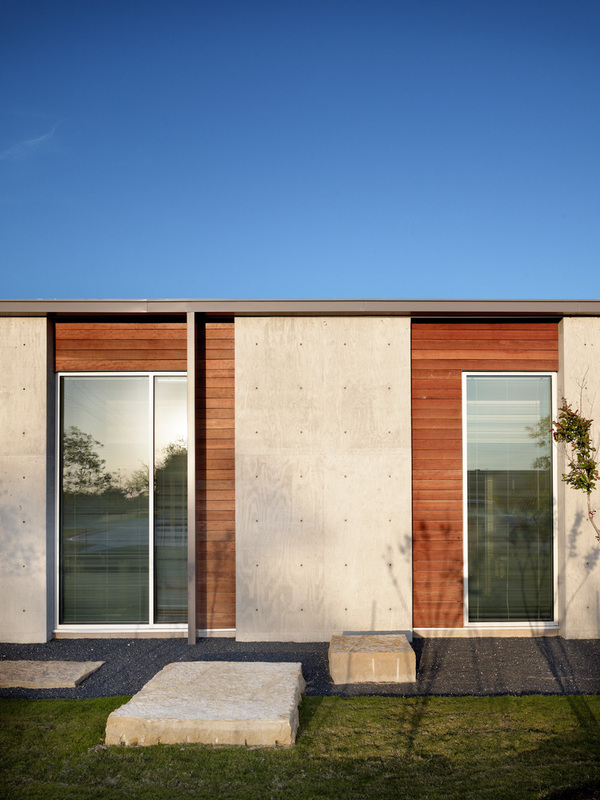 The design team proposed using high thermal mass concrete walls as a means of reducing energy consumption, and WJE recognized an interesting test case for experimentation. They used a WUFI hygrothermal design model to evaluate how temperature would move through thick concrete walls at all hours of the day and all times of year. 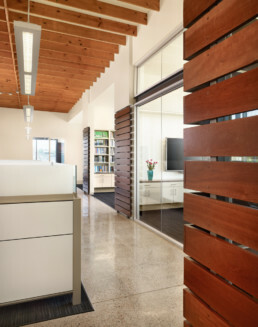 Their engineers analyzed when the walls could produce thermal advantage as well as when dew point would be reached that might create condensation. 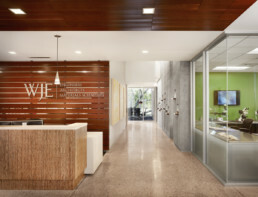 In the end, WJE was convinced that it would be worthwhile to use solid concrete walls in their building.